The regional director for the World Health Organization (WHO) in the Western Pacific urged leaders in the region on Friday "to take strong action and invest in primary health care," saying it is "the most affordable way" to meet the health challenges facing the region, Trend reported citing Xinhua. 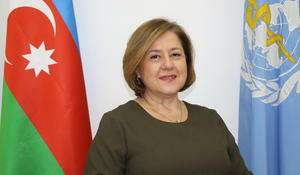 The World Health Organization (WHO) highly appreciated the measures on epidemiological control and immunization carried out in Azerbaijan against measles and rubella, Javahir Suleymanova, specialist in infectious diseases at the WHO office in Azerbaijan, told Trend. 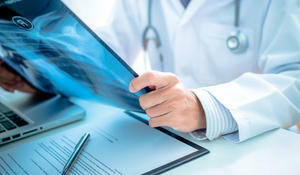 The number of tuberculosis patients in Azerbaijan last year decreased by three percent compared to 2017. All countries equally face the risk of infection with the flu virus, Head of the Azerbaijan Office of the World Health Organization (WHO) Hande Harmanci told Trend Jan. 11. Hande Harmanci (Turkey) started working as a new representative of the World Health Organization (WHO) in Azerbaijan. The World Health Organization (WHO) will keep under control the cooperation center, which is created with the aim of prevention of tuberculosis and its control in prisons of Azerbaijan, because this is a unique example of the fight against tuberculosis. Iran's south eastern Zabol city ranks first among the most polluted cities in the world, according to a report released by the World Health Organization (WHO) May 12.